On Monday, I went along to the premiere for Kickass, on which I’ve been involved in sound FX editing and design over the past six months. The Mustang that appears in the movie was parked outside when we went in, so in an ideal world I would have a picture of that to head this post but unfortunately you kind of get swept straight in on the way into premieres (I think they clear us riff raff out of the way as soon as possible so that the celebs can get a clean run) and then when we left it had gone so I’ve had to just go with the movie poster instead. I’m really interested to see how the film fares because it’s been getting loads of publicity and great reviews. The feeling seems to be that for Matthew Vaughn, the film’s director, Kickass could be “ultimate proof that he can perform in the same league as the directorial heavy-hitters” (as The Times puts it). It’s certainly the biggest project that I’ve been involved in, and it’s an exciting prospect to think that there may be the opportunity to work on even bigger movies in the future. I’ve already discussed several aspects of my work on the film in the form of posts over the past six months but one thing that I haven’t touched upon is the film’s atmospheres and background FX that I sourced and edited. As it happens, the film is quite light on background FX – Matthew Vaughn’s primary concern was sensibly always the narrative and making sure that nothing distracts from this. As a result, the soundtrack is quite minimal except when the big action sequences kick in. However, visually it is made clear that the film is based in New York, so an urban soundscape had to be made available to accompany the visuals should it have been required. A trip to New York to record new FX wasn’t on the cards, so I turned to my FX library. However, this seemed to me to be too reliant on the excellent but overly familiar Cititrax library. Consequently, I decided to try and use the internet as a resource for fresh sounds. One of the amazing things about blogging, following other peoples’ blogs, or even just getting involved in one of the many sound forums out there, is that your ‘sound community’ expands massively to all corners of the globe. This is obviously great as a means of sharing ideas with a large number of professionals from around the world but it’s also a fantastic opportunity to access original, bespoke sounds from inaccessible (financially or temporally, that is) places in a very informal manner. In this case, I made contact with a couple of guys, Matt Verzola and Michael Raphael, in New York through their blogs. They’re actually both involved in audio in very different ways but between them they increased my palette of New York sounds immensely. Matt put me in touch with another New Yorker, Philip Watts, who provided me with a bunch of his local recordings and Michael was actually able to go out and record some great echoey chat tracks for me around various New York streets and squares which enabled me to completely avoid dipping into the Cititrax library at all. Thanks to you all for your help and I look forward hopefully to many more exchanges of this type in the future. 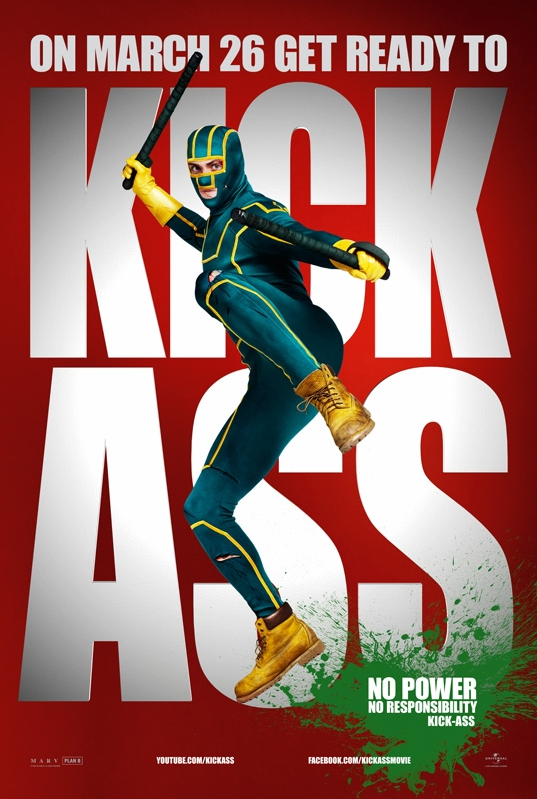 Kickass was released in UK cinemas yesterday. Is this screening in the states? According to imdb, it premieres in the US on the 12th April and is then released nationwide on the 16th. Congratulations on working on Kickass! Its getting a LOT of promotion here in Manchester and I can see posters of it wherever I look! I was happily suprised to see you had been working so directly on it! Good stuff man! I was down in London last week for a spotting session down around Soho and once again wanted to give you a ring but realized I didn’t have your number on me! We should meet soon as I am going down to London more and more now as my workload increases! I think I heard some stuff I recorded, but I wasn’t totally sure. Anyway, that is one bizarre movie. Also, that mustang sounded killer. Basically, any street shouts you hear are likely to be your stuff, Michael. Off the top of my head, I think a couple of scenes outside the comic store had a bit of street life cut through. Likewise, I think the shots of Kickass walking the streets looking for Mr. Bitey used some of your recordings.